Jane Wilson-Howarth Matthew Ellis - As a child Jane dreamed of intrepid adventures and encounters with exotic wildlife but it wasn’t until she was 22 and with a zoology degree to her credit that she started travelling: she organised a six-month expedition to catalogue the creatures living in Himalayan caves. To cut a very long story short, this trip lead to a parasitology then medical qualification, a husband and many more exotic trips. She experienced leeches, malaria mosquitoes, ticks and scorpions first hand and, realising how good information contributes to enjoyable travel, wrote her first travel health guide, Bugs Bites & Bowels, now in its fifth edition. Her first book was a travel narrative, Lemurs of the Lost World. 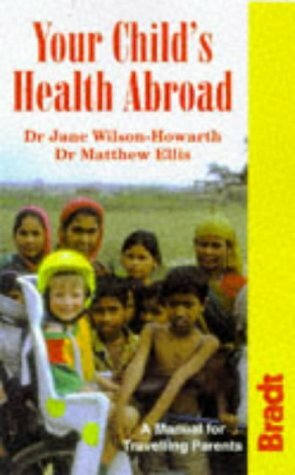 So far, eight of her books have been books published.Dr Jane has lived in various very remote corners of the globe and has spent about 11 years in South Asia. Jane’s third son made his first big trip – to Nepal – at the age of three weeks. Her experiences of living in rural Nepal proved a rich resource for her writing as her travel biography, first novel and adventure stories for children bear witness. She practised as a general practitioner / family physician for 15 years in Cambridgeshire but in September 2017 moved back to Nepal. She has more letters after her name than in it and teaches extensively on travel health including an annual commitment to a workshop on diarrhoea at the University of Cambridge medical school. She has written a double spread feature for Wanderlust magazine since it was first launched in 1993 and her words have been published in national newspapers and the academic press.She tweets as @longdropdoc, her Nepal photos are on Instagram @wilsonarth and her blogs are on her author website wilson-howarth where there are photogalleries relating to her books.